This is one of the best training days I have attended. 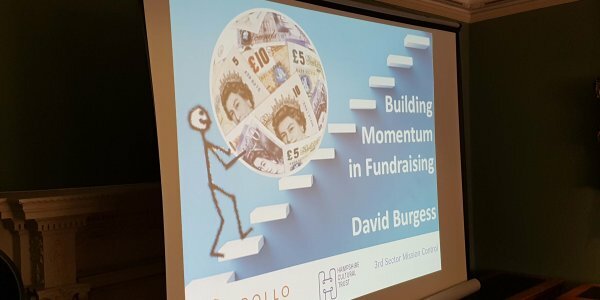 David gave ideas to keep momentum building from real fundraising activities which could be utilised in our own organisations. Running a major fundraising campaign can have a transformational impact on your organisation. However, they can be hard work, usually requiring input from across the organisation to play a part. They also take time – often many years. 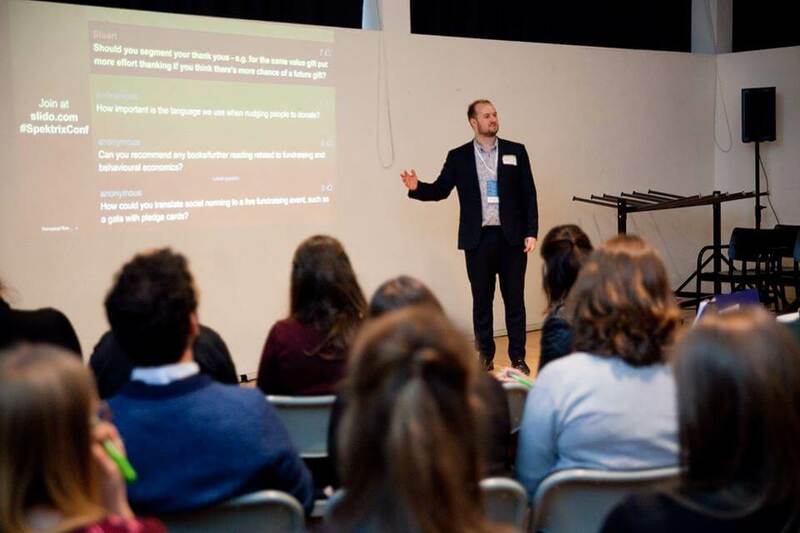 Before embarking on a major campaign you want to know that you have the best chance of success, while during and after the campaign you need to keep your staff, volunteers and supporters engaged and motivated. How do we know if our organisation is ready to launch a campaign? How do we structure a major fundraising campaign? How do we keep supporters motivated during a campaign? How do we keep staff and volunteers motivated during a campaign? Having completed the campaign, what do we do next? This session exceeded my expectations. It was excellent and a great investment of my time. I found this such a useful course. My previous understanding of the subject was virtually nil so just understanding the basic concepts around how long it takes to build relationships with donors and how much of an individual relationship it needs to be was eye-opening. ‘Planning a Fundraising Campaign’ can be booked by organisations looking to provide in-house training for their staff. Alternatively, you might want to partner with local organisations who are looking for similar skills development opportunities. Our ‘Planning a Fundraising Campaign’ workshop is normally run as a full-day course. However, we are flexible and can adapt our programme to meet your needs. If you would like to discuss booking a ‘Planning a Fundraising Campaign’ training session, please contact us using the form below.